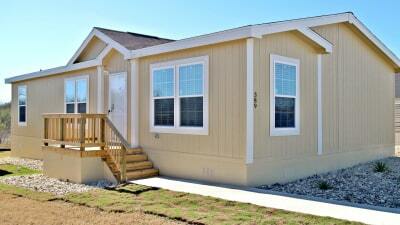 Used mobile homes for sale at Titan Factory Direct are a great alternative to big new home financing. Finding a manufactured home that fits your budget and your needs is important. Sometimes a new manufactured home just isn’t the right fit. That’s why we also keep an extensive inventory of used mobile homes for sale. We have a large selection of pre-owned and repossessed mobile homes as well as trade-ins and foreclosed mobile homes for sale in Texas, Oklahoma and New Mexico. These mobile homes are still in great condition and are often great investments, selling at 20% - 40% below market value. You can find used mobile homes for sale by visiting any one of our 12 sales centers. Although each sales center has a selection of used manufactured homes for sale in their area, they also have access to a full inventory of used mobile homes for sale in Texas, Oklahoma and New Mexico. We have an ever-changing inventory of used single wides, double wides, triple wides and even used park model homes to choose from. With a wide selection of used 1, 2, 3, & 4 bedroom mobile homes, you can easily find a space and floorplan that fits your needs at just a fraction of the cost, with homes discounted well below market value. The no-hassle purchase process for all of our used mobile homes is still backed by our turnkey service and dedication to customer satisfaction. We have over 20 different lenders available to help with financing, and cash incentives for those looking for a quick purchase. Our contractors are available to assist with land preparation, delivery and setup, and more. 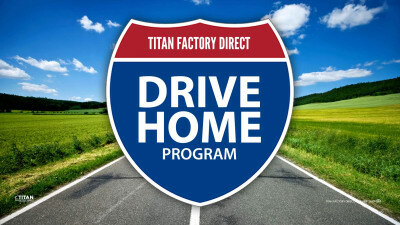 Titan Factory Direct aims to make your purchase a quick and hassle-free experience with up front pricing and one-stop solutions. 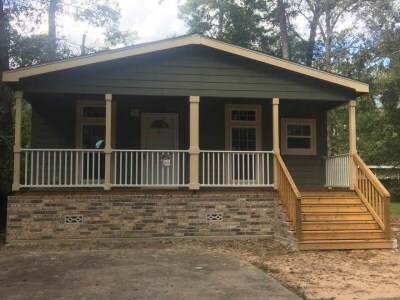 You can find a small selection of our used mobile homes inventory on our website, but due to frequently changing inventory, we can only keep up with a fraction of the homes that we have available. Come by any of our 12 sales centers to meet with a housing specialist and review our full list of used mobile homes for sale and ready for immediate delivery. Our extensive inventory is bound to have a home for you at a price well below market value. Whether you are looking for move-in ready homes, homes on land, foreclosures or an investment, we will have a wide selection of used mobile homes for sale near you. Call us today at 855-550-6550. Titan Factory Direct offers the largest selection of Mobile Homes and Manufactured Homes for sale in Texas, Oklahoma and New Mexico. 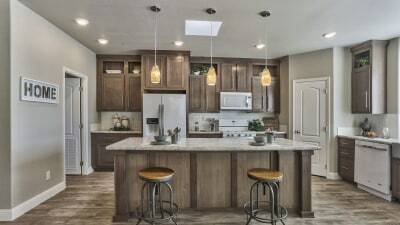 Search our inventory for new single-wide homes, double-wide homes, triple-wide homes, park model RVs, and modular homes to find the home that's right for you. Peek in at some of our used mobile homes for sale. Contact us for more great models available for immediate sale! 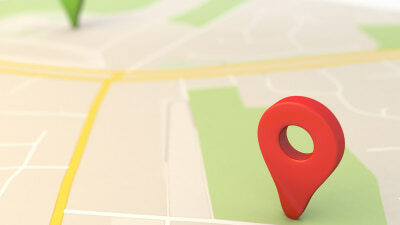 Find a store near you to take advantage of our full inventory of used mobile homes.